There have been more than a dozen secondary recalls of cheeses and products made with cheese under different brand names for possible Listeria monocytogenes contamination in the past month. Those products were distributed by MDS Foods of Massillon, Ohio and were provided to them by Deutsch Kase Haus, LLC of Middlebury, Indiana. The recall notice states, “Deutsch Kase Haus, LLC of Middlebury, Indiana, supplied MDS Foods with Colby and Colby Jack minihorn cheeses that have been found to be contaminated with the pathogenic organism which can cause serious and sometimes fatal infections in young children, frail or elderly people, and others with weakened immune systems.” No illnesses have been reported to date in connection with the consumption of these products. We have gathered all of the recalls in one place so you can keep track of them. Please check your refrigerator and freezer carefully to make sure you don’t have any of these recalled products. If you do, throw them away in a sealed or double bagged container or take them back to the place where you bought them for a full refund. Wash your hands well after handling these products. After you dispose of the products, clean out your refrigerator with a mild bleach solution to kill any remaining bacteria. Listeria monocytogenes bacteria can grow at refrigerator temperatures, and freezing doesn’t kill it. If you ate any of these recalled products, watch yourself for the symptoms of listeriosis, the illness caused by this bacteria, for the next 70 days. That’s how long it can take for this illness to appear. Symptoms include high fever, neck stiffness, nausea, severe headache, abdominal pain, and diarrhea. Pregnant women need to be especially cautious of this illness since it can cause miscarriage and stillbirth, even if the women only has a mild flu-like illness. If you do feel sick, see your doctor and tell him you ate this recalled product. The recalls are listed in reverse chronological order. More items will be added as they are announced by the companies or the FDA or USDA. Fiery Cheese Company expanded their recall of some cheeses for possible Listeria monocytogenes contamination on March 8, 2017. Meijer expanded its recall to include their Artisan Made Natural Muenster Cheese and Pre-Made Ham Sub Sandwich on March 3, 2017. Yoke’s Fresh Market proactively recalled two types of Colby cheese for possible Listeria contamination on February 28, 2017. Lipari recalled cheeses under the Lipari Old Tyme and Copperwood brand names for possible Listeria contamination on February 28, 2017. Lakeview Cheese and Bashas’ Family of Stores recalled cheeses for possible Listeria monocytogenes contamination on February 24, 2017. A public health alert was issued for PREMO brand wraps on February 24, 2017 for possible Listeria. A recall was not issued because the “best by” dates were 10 days earlier. Three Ready Pac Foods recalled their Puro Picante Blazin Hot chicken salad for possible Listeria monocytogenes contamination on February 22, 2017. MDS Foods expanded their recall of cheese on February 17, 2017. Sargento expanded its recall of cheeses received from Deutsch Kase Haus on February 17, 2017 and added some new dates to previously recalled products. 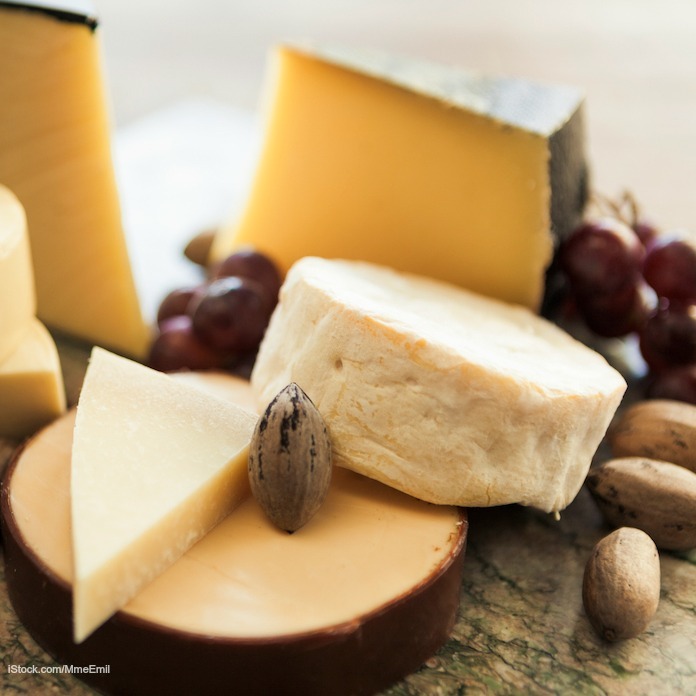 Dutch Valley Foods recalled Guggisberg cheeses and gift boxes and sampler boxes for possible Listeria monocytogenes contamination on February 17, 2017. Biery Cheese Company recalled cheeses under the brand names Delallo, Dietz & Watson, and Private Selections on February 16, 2017. Saputo recalled some of their Gouda cheese products that were manufactured by Deutsch Kase Haus on February 16, 2017. Guiggisberg Cheese recalled various Colby type cheeses for possible Listeria monocytogenes contamination on February 14, 2017. Choice Farms LLC recalled a “very limited quantity” of mushrooms stuffed with recalled cheese for possible Listeria on February 13, 2017. Country Fresh recalled snack products that were made with recalled Sargento cheeses for possible Listeria contamination on February 13, 2017. Sara Lee recalled two kinds of cheese for possible Listeria monocytogenes contamination on February 11, 2017. MDS Foods issued a recall for several brands of cheese for possible Listeria monocytogenes contamination on February 11, 2017. The brand names include Amish Classics, Deli Readi, Deli Made EZ, Meijer, Lipari Old Tyme, and Duck Deli. Meijer recalled Meijer brand Colby and Colby Jack Deli Cheeses for possible Listeria contamination on February 10, 2017. Sargento recalled seven of its cheese products on February 10, 2017 for possible Listeria monocytogenes contamination.